BELIZE CITY, Tues. Oct. 11, 2016–A 23-year-old Belize City woman was remanded to prison on a charge of wounding for allegedly stabbing her mother with a broken pint bottle during a domestic dispute at their family home on Police Street. 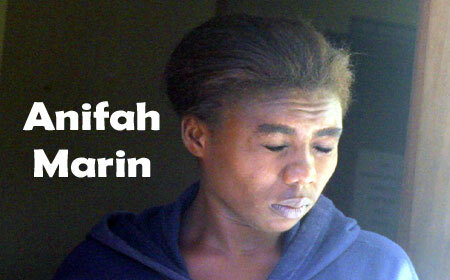 Anifah Marin appeared unrepresented before Senior Magistrate Sharon Fraser, who read a single charge of wounding to her. Marin, a resident of 193 Police Street, pleaded not guilty to the charge. That, however, was not Marin’s only problem in court. Court records confirm that she owed the court for a previous conviction. Marin’s court fine amounted to $410 for two offences. She was fined $305 for possession of a controlled drug and $105 for causing a bicycle to proceed up a one-way street. If Marin fails to pay her court fines, she will have to serve a total of 5 months behind bars. Magistrate Fraser told her that she would not entertain the idea of offering her bail until the old court bill is settled, so she remanded Marin to prison until she can pay the court fine. The incident occurred on Wednesday, October 5, sometime around 7:00 a.m.
Hettie Marin, 46, Anifah Marin’s mother, reported to police that she was standing in front of her door when she saw Anifah coming. Hettie said that she told her not to enter the house, because she had been engaged in some irresponsible actions lately. Hettie said that her daughter told her that she was not going anywhere, so she began to walk beside her. According to the report, Anifah suddenly broke a pint bottle with which she hit her mother on the left side of her chin and on the upper part of her chest, causing the cut wounds. Hettie said that she ran inside her house and her husband took her to the Karl Heusner Memorial Hospital.